Do you feel tired even after a full 8 hours of rest? Craving that 2nd cup of coffee around 2-3PM? If you have been low in energy, to the point where it feels like you're dragging yourself through life, I'll be sharing 3 ways you can give yourself the boost you need in this post. Acupuncture being one of them in case you were not aware. These tips should help you wake up with more energy, get you through those mid-day slumps, and provide the foundation of energy you need to feel like you CAN do anything you set your mind to. 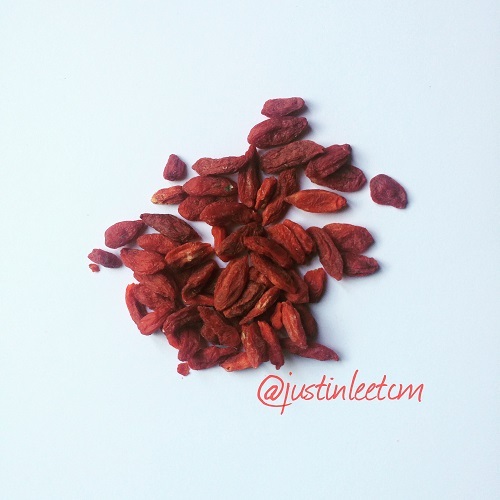 A natural energy tonic, and having been used for thousands of years in medicinal formulas, goji berries are known for their nurturing and energizing qualities. Just throw a handful of goji berries into a hot cup of water. Let it steep 2 minutes. Drink, and eat the berries. With goji berries, you'll notice a steady rise in energy and focus - minus the anxiety that coffee brings on. It will be reversing all the damage you've done to your adrenal glands from coffee intake, and stress. How you might wonder? This food naturally nurtures and supplements the kidneys in Chinese Medicine. The adrenal glands sit right on top of, and have a close relationship with the kidneys, and so they get nurtured too. The best part is you won't feel a crash 3 hours later, AND your sleep will not be affected from this drink. Not sure where to get them? You can pick them up at our clinic after a session. If your energy is already low, this could be a sign of malabsorption in the digestive system. One way to counter this is to eat everything in a more easily digestible state, like SOUP! You might be thinking well isn’t raw better for you? Aren’t you maintaining the nutrients better? Raw has some advantages, however raw food is harder to digest. Your stomach has to work harder to breakdown those nutrients, and heat up the cold food in your stomach, which would prefer a nice hot meal. Just think the last time you were feeling sick, you naturally preferred a nice hot bowl of chicken noodle soup over a salad. The stomach absorbs nutrients in a hot state much more rapidly, and with ease compared to cold raw food intake. Heating food may break down some of the nutrients, however the loss in nutrients is made up for in the ease of absorption - which typically results in less bloating, able to maintain a higher metabolism, and even prevent your body from feeling cold all the time. If you’re feeling exhausted, you don’t want to make your body work any harder than it has to. So if you're looking for more energy, make life a little easier for yourself and your gut, by drinking soup. Acupuncture works wonders for many individuals struggling with low energy. In fact, low energy, can sometimes be labelled as chronic fatigue syndrome which is a condition that can be treated with acupuncture. Often times when we're tired it's a sign of adrenal fatigue. This often results in the feeling of being 'burnt out' - where you want to accomplish certain things, but can't seem to find the motivation to get them done. You might feel the need to lie down, or rely on coffee to get you through the day. In addition when the kidneys are weak, this can result in poorer circulation to the lower back, knees, and heels. Resulting in lower back, knee, or heel pain. If you're suffering from any of these issues it's a good idea to try acupuncture. Not only would we work on improving your overall energy, but also clearing away these aches and pains for good! How acupuncture works is by stimulating certain points on the body that connect to the organ we are treating. In this case, it would be the kidneys. In doing so, it would promote the kidney function, nurturing and strengthening this organ system to alleviate the adrenal fatigue. As a byproduct of strengthening the kidneys, the circulation in your lower back, knees, and heels would be improved as well. Leading to more energy, and less pain in those areas. So when you’re ready to give yourself the boost you need, book a session below! You won’t regret it. We’re a Toronto acupuncture & food therapy clinic with locations in the downtown, and forest hill regions.